Is iPhone X Overpriced in India? and Should You Upgrade? Home Mobile Is iPhone X Overpriced in India? and Should You Upgrade? Since the last couple of days, I have received a lot of queries asking that, is iPhone X Overpriced in India? So, I decided to get a quick price comparison here so that you could know that what iPhone X will actually cost people and is iPhone X really going to be overpriced in India?. 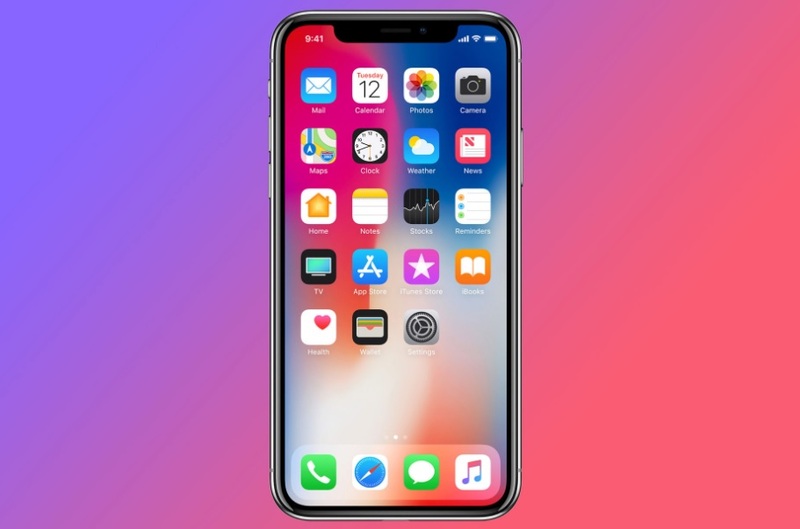 Apple launched the iPhone X on September 12, along with the iPhone 8 and iPhone 8 Plus and the iPhone X, Apple’s most futuristic smartphone till date and of course the most expensive too. In India, the price of the iPhone X base model will cost you about Rs 89,000 that comes with the 64GB of internal storage, the 265GB storage variant will cost you even more around Rs 102,000 making it the most expensive iPhone in India yet. So, if you are from India and were considering to buy the new iPhone X expecting its price to be around Rs. 70 to 60 thousand then you might be wrong here. On the other hand, the iPhone X in the US is priced at $999 around (Rs. 64,000 INR) for the 64GB variant which cost around Rs. 25,000 less than the price of iPhone X in India. If we look at the local sales tax and calculate the final price, the picture gets clear. 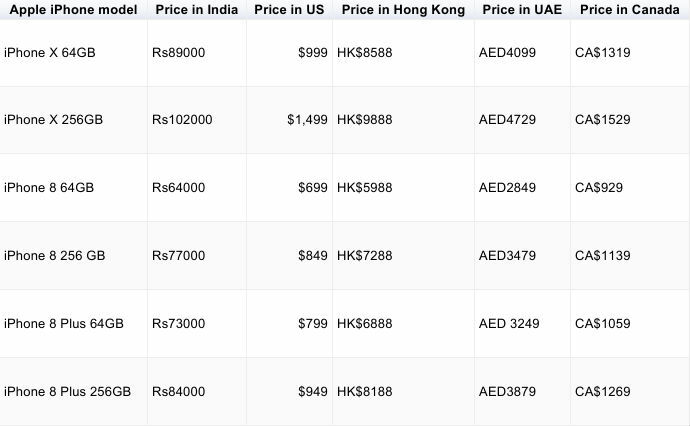 The iPhone X price in India and Hong Kong includes local sales tax but not in the price of the iPhone X in the US. It is because the tax on the iPhone in the US may vary from state-to-state and we can find different tax rates in different states even some has zero percent interest rate, for instance, in Delaware state, sales tax rate is currently zero percent also, the prices advertised on online stores and billboards exclude tax in the US. Moreover, iPhone 8 is priced in Hong Kong at Rs. 50,000 for the 64GB variant which is nearly Rs 14,000 less than the starting price in India. The 256GB variant is available at Rs 60,000. No doubt that iPhone X is Apple’s best iPhone ever that comes with top of the line hardware and software capabilities. But still, I think that the price should have been in between Rs. 60,000 to 75,000 only. Rs. 89,000 is much more than what I had expected it to be for the 64GB variant. But if money is not a big issue for you then I think you must go with the iPhone X or the iPhone 8. Let me know what you think about the iPhone X and iPhone 8 pricing in India.